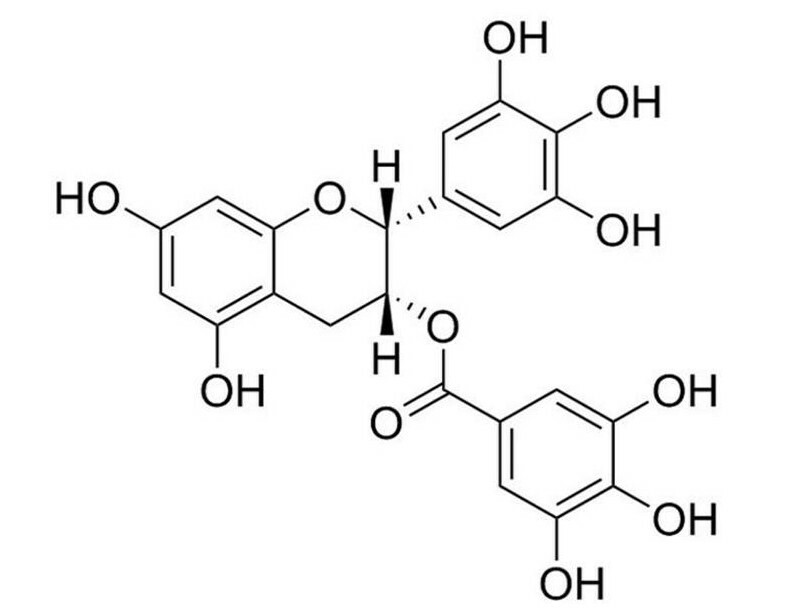 (-)-Epigallocatechin Gallate is the most abundant polyphenol catechin antioxidant present in green tea (Frémont et al. ; Johnson & Maddipati; Miller & Rice-Evans) and is known to inhibit DNA methyltransferases (DNMTs; IC₅₀ = 0.21 - 0.47 μM; Lee et al.). (-)-Epigallocatechin Gallate also inhibits the formation of oxidized low-density lipoproteins (Yoshida et al. ), which have a pathological role in cardiovascular diseases and atherosclerosis (Itabe et al.). (-)-Epigallocatechin Gallate has also been shown to inhibit peroxynitrite-mediated formation of 8-oxodeoxyguanosine and 3-nitrotyrosine (Fiala et al.). · Causes cell cycle deregulation and apoptosis in human epidermoid cancer cell line, possibly via inhibition of NF-κB (Ahmad et al.). Epigallocatechin Gallate (EGCG) is the most effective cancer chemopreventive polyphenol in green tea. Green tea is a popular drink consumed daily by millions of people around the world. Previous studies have shown that some polyphenol compounds from green tea possess anticancer activities. However, systemic evaluation was limited. In this study, we determined the cancer chemopreventive potentials of 10 representative polyphenols (caffeic acid, CA; gallic acid, GA; catechin, C; epicatechin, EC; gallocatechin, GC; catechin gallate, CG; gallocatechin gallate, GCG; epicatechin gallate, ECG; epigallocatechin, EGC; and epigallocatechin gallate, EGCG), and explored their structure-activity relationship. The effect of the 10 polyphenol compounds on the proliferation of HCT-116 and SW-480 human colorectal cancer cells was evaluated using an MTS assay. Cell cycle distribution and apoptotic effects were analyzed by flow cytometry after staining with propidium iodide (PI)/RNase or annexin V/PI. Among the 10 polyphenols, EGCG showed the most potent antiproliferative effects, and significantly induced cell cycle arrest in the G1 phase and cell apoptosis. When the relationship between chemical structure and anticancer activity was examined, C and EC did not show antiproliferative effects, and GA showed some antiproliferative effects. When C and EC esterified with GA to produce CG and ECG, the antiproliferative effects were increased significantly. A similar relationship was found between EGC and EGCG. 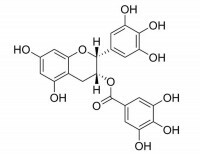 The gallic acid group significantly enhanced catechin's anticancer potential. 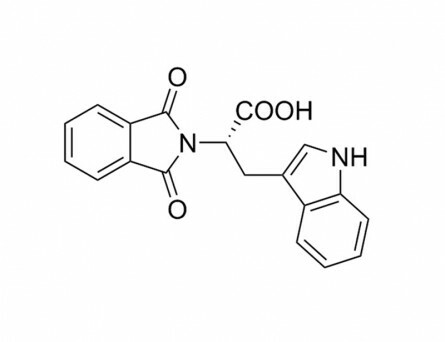 This property could be utilized in future semi-synthesis of flavonoid derivatives to develop novel anticancer agents. Oxidative modification of LDL: its pathological role in atherosclerosis. Oxidized low-density lipoprotein (OxLDL) is a well-known risk marker for cardiovascular diseases. 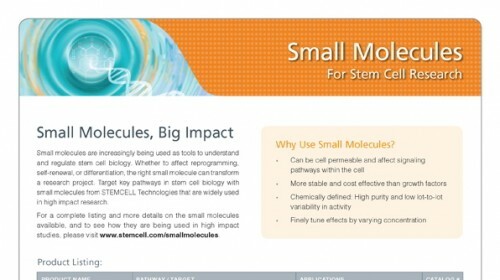 OxLDL has shown a variety of proatherogenic properties in experiments performed in vitro. In addition, immunological studies using monoclonal antibodies have revealed the occurrence of OxLDL in vivo in atherosclerotic lesions and patients' plasma specimens. Resent clinical studies have indicated the prospective significance of plasma OxLDL measurements; however, the behavior and metabolism of OxLDL in vivo is poorly understood. The mechanism by which LDL is oxidized is not clear, and the modified structures of OxLDL are not yet fully understood, partly because OxLDL is a mixture of heterogeneously modified particles. Here, I discuss the recent studies on oxidative modifications in OxLDL and its clinical and pathological features. 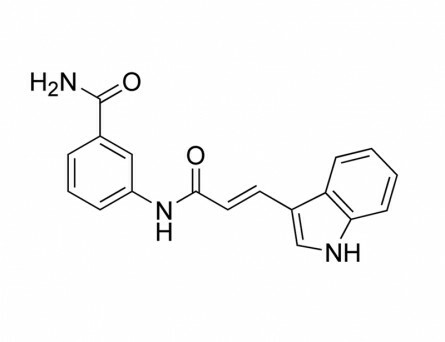 EGCG inhibits growth, invasion, angiogenesis and metastasis of pancreatic cancer. We have shown that epigallocatechin-3-gallate (EGCG), a polyphenolic compound from green tea, inhibits growth and induces apoptosis in human pancreatic cancer cells. However, the preclinical potential of EGCG in a suitable mouse model has not been examined. In this study, we examined the molecular mechanisms by which EGCG inhibited growth, invasion, metastasis and angiogenesis of human pancreatic cancer cells in a xenograft model system. EGCG inhibited viability, capillary tube formation and migration of HUVEC, and these effects were further enhanced in the presence of an ERK inhibitor. In vivo, AsPC-1 xenografted tumors treated with EGCG showed significant reduction in volume, proliferation (Ki-67 and PCNA staining), angiogenesis (vWF, VEGF and CD31) and metastasis (MMP-2, MMP-7, MMP-9 and MMP-12) and induction in apoptosis (TUNEL), caspase-3 activity and growth arrest (p21/WAF1). EGCG also inhibited circulating endothelial growth factor receptor 2 (VEGF-R2) positive endothelial cells derived from xenografted mice. Tumor samples from EGCG treated mice showed significantly reduced ERK activity, and enhanced p38 and JNK activities. Overall, our data suggest that EGCG inhibits pancreatic cancer growth, invasion, metastasis and angiogenesis, and thus could be used for the management of pancreatic cancer prevention and treatment. Mechanisms for the inhibition of DNA methyltransferases by tea catechins and bioflavonoids. In the present investigation, we studied the modulating effects of several tea catechins and bioflavonoids on DNA methylation catalyzed by prokaryotic SssI DNA methyltransferase (DNMT) and human DNMT1. 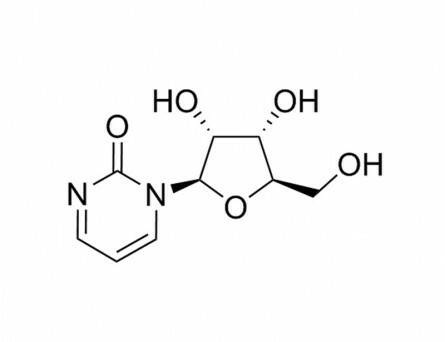 We found that each of the tea polyphenols [catechin, epicatechin, and (-)-epigallocatechin-3-O-gallate (EGCG)] and bioflavonoids (quercetin, fisetin, and myricetin) inhibited SssI DNMT- and DNMT1-mediated DNA methylation in a concentration-dependent manner. The IC(50) values for catechin, epicatechin, and various flavonoids ranged from 1.0 to 8.4 microM, but EGCG was a more potent inhibitor, with IC(50) values ranging from 0.21 to 0.47 microM. When epicatechin was used as a model inhibitor, kinetic analyses showed that this catechol-containing dietary polyphenol inhibited enzymatic DNA methylation in vitro largely by increasing the formation of S-adenosyl-L-homocysteine (a potent noncompetitive inhibitor of DNMTs) during the catechol-O-methyltransferase-mediated O-methylation of this dietary catechol. In comparison, the strong inhibitory effect of EGCG on DNMT-mediated DNA methylation was independent of its own methylation and was largely due to its direct inhibition of the DNMTs. This inhibition is strongly enhanced by Mg(2+). Computational modeling studies showed that the gallic acid moiety of EGCG plays a crucial role in its high-affinity, direct inhibitory interaction with the catalytic site of the human DNMT1, and its binding with the enzyme is stabilized by Mg(2+). The modeling data on the precise molecular mode of EGCG's inhibitory interaction with human DNMT1 agrees perfectly with our experimental finding. Fenton reaction is primarily involved in a mechanism of (-)-epigallocatechin-3-gallate to induce osteoclastic cell death. 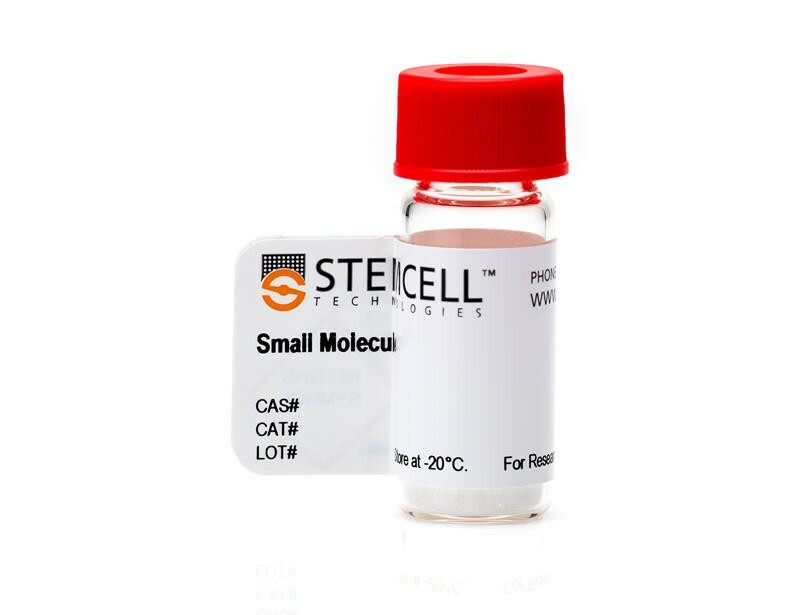 To propose candidates for the prevention or treatment of osteoporosis, we have screened compounds naturally in food for their ability to regulate the differentiation and function of osteoclasts. One of the major green tea flavonoids, (-)-epigallocatechin-3-gallate (EGCG), was found to induce apoptotic cell death of osteoclast-like multinucleated cells after 24 h treatment in a dose-dependent manner (25-100 microM), whereas osteoblasts were not affected. In the present study, we report for the first time a novel cell-death-inducing mechanism triggered by EGCG. The induction of apoptosis by EGCG was suppressed by pretreatment of catalase or calcitonin. It was also suppressed by Fe(III) and Fe(II) chelators. Furthermore, EGCG promoted the reduction of Fe(III) into Fe(II), and the combination of EGCG/Fe(III)/H(2)O(2) induced single-strand DNA breakage in a cell free system. These results indicate that the Fenton reaction is primarily involved in EGCG-induced osteoclastic cell death.